You think you know the Big Daddy of the Pride Lands… but you don’t. 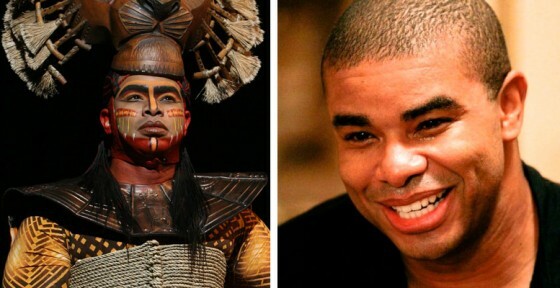 Dionne Randolph is the longest continuous running Mufasa that Disney has employed, and at nine years with The Lion King, he is one of the most veteran on the Gazelle tour. The beefcake actor with the silky, heartbreaking voice who rescues his cub from a wildebeest stampede can also be found tearing up the video game world. What’s more, he accidentally fell into performing, although he was studying aeronautical engineering at Morehouse College and had designs to work for NASA. What the wha? You may be stunned to discover that this good-natured, sassy Georgia native is the #1 Soulcalibur game player in the world. Then he presides over Pride Rock as his day (er, night) job. For someone who’s had no formal training in theater or voice, Dionne is a man of many surprising talents, and he will be one of the more fascinating people you’ll meet on our blog. And you don’t want to miss the last few questions. 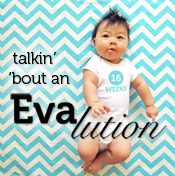 They involve a lime green leotard and dollar bills — seriously. Photos courtesy of Dionne Randolph. 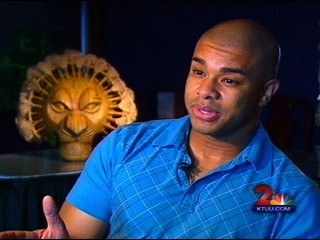 Q: Dionne, you’ve been playing Mufasa for almost a decade, but I heard you once covered the role of Scar too. What was that like? Dionne: I loved playing Scar. Sometimes I feel like I can connect with that role more. My agent and mentors all believe that villainous roles fit my persona very well. My favorite thing about playing Scar is that he is a “Disney” villain. And Disney villains never know that they are villains. Everyone around them is just simply not intelligent enough to understand their problems! And it’s definitely a physically and vocally demanding role. After being completely immersed in it, I would be mentally and vocally exhausted after every performance. But it was great fun. Q: What other character do you think it’d be fun to play in The Lion King? Dionne: Pumbaa! I love characters that have a certain innocence and naivety. 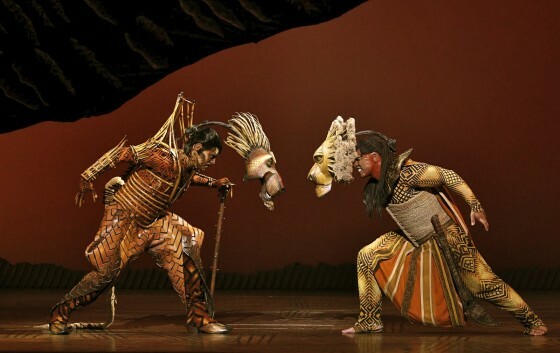 Q: Doing The Lion King for as long as you have, you must occasionally fantasize about playing a role in another show. What would be the other dream role for you? Dionne: Believe it or not, a role that I love in all of theater is Amneris from Aida. If it were a male role I’d be the first in line to audition. The concept of the person that lives life in the fast lane then realizes in the end that they have nothing frightens me. And it’s what I can relate to in my life. What I don’t want to happen. That arc, that emotion, that stoic magnitude of presence is what I love in theater. Quiet moments are sometimes the loudest. Q: You began your career from the get-go with Disney, but it wasn’t with The Lion King. Tell us about that journey. Dionne: I actually started my career with the Walt Disney World College Program [as part of my studies with Aeronautical Engineering at Morehouse College]. I wanted to learn how the business side of Disney works, because my goal was to work with NASA and going to this program would put me closer. When I got there, I saw a company whose business was entertaining others and creating magic. I was shocked. I had never seen anything like it — parades, shows, fireworks, amazing technologically advanced rides. I saw a place that I could fit in, and fit in well. So I gave it a shot full time. I’ve done a lot with Disney. I was a Magic Music Days host, ambassador finalist, radio host, parade performer, singer, actor, voiceover artist, Henson puppeteer, a “VoluntEar” [charitable organization made of Disney cast members]. To think back on my personal past with the company humbles me. I have been very blessed. Q: So it sounds like it took many years to make it into the actual show as Mufasa, where you are today. Is that typical? Dionne: I asked Disney why it took so long to get in [to play Mufasa full-time], and they told me that they were waiting for me to age more. Who knew? I’ve had a strong bass/baritone all of my life but don’t necessarily look like I sound. I’ve learned in this business it’s timing, readiness, and simply fitting the part. Q: From traveling on the U.S. tour for nine years, you must have some favorite — and not so favorite — cities. Dionne: I’ve learned that I’m not a fan of New England. I love visiting the area but I can’t stand the cold! And boy, have we had cold winters on tour: the big 2004 snow storm in Boston that shut the city down, Des Moines at fifteen below, a high of 0° in Minneapolis. But I also did love some cities, including Minneapolis, Phoenix and Atlanta. There was a friendliness in Minneapolis. The geography of the area around Phoenix is second to none, and the parks, museums, and history of Atlanta are awesome. The people in all those cities were really wonderful and friendly. Q: Doing 8 shows a week, for 9 years now — if my math is right, that’s roughly one billion shows. How in the world do you keep things fresh? Dionne: Well, I think working with the kids keeps it fresh for me. They alternate every night, are always in different moods, and switch out every so many months. Once I hit a stride of understanding that my relationship with young Simba is paramount to the story, it became pretty important to stay fresh with them. And kids are kids. They are definitely professionals but at the end of the day — they are just kids. Embracing that fact has kept it fresh for me. Also, with a show this size, and the number of people it takes to make it happen, it’s impossible to go stale. Q: SPOILER ALERT! You basically take a long break during Act II until the final curtain. But we do hear your voice — is that a live voiceover? Dionne: The voiceover is live. Being that this is live theater, anything could happen [surrounding the time of the voiceover]. A line could be dropped, an improv might need to happen. But most importantly, the orchestra plays at different tempos nightly. Sometimes the voiceover needs to move more briskly or sometimes slower. Q: So what do you do during Act II when you’re backstage to pass the time? In the beginning of my career, I would be so emotionally drained from Act I that I would just lie on the floor during Act II and calm myself. It takes a lot of power and energy to create so many emotions in such a short amount of time. Now I’ve learned to pace myself a little better. The work isn’t easier, but now the recovery is! And I’m writing music again and have been busy with that. So I’m usually at my virtual keyboard and Pro Logic during Act II. For now! Q: Rumor has it you are a huge video gamer. What led you down this road? Dionne: My dad is a retired computer engineer for IBM. When I was growing up, he used to have first access to all of the early video game consoles like Atari, ColecoVision, Turbographics 16, Intellivision, and Genesis. So we’d test the games sometimes. And if I wanted to spend the night with a friend or wanted a new jacket, I’d have to beat him in one of the games! Little did he know a gaming monster was being forged! So video games aren’t just schtick for me. Q: What’s your favorite game to play? Q: During your tour travels, have you gotten to see anything cool related to video games? Dionne: I had the opportunity to tour Activision’s world headquarters when we were in Minneapolis in January 2012. I got to see the work it takes to make the games —most of which have better stories, scores, and performances than most movies. Q: Last question for you! Live theater is unique in that, well, anything can happen. What’s the funniest thing that’s happened to you during a show? Q: Please tell me you have a photo of the green leotard that I can include in this blog. Please oh please! Dionne: I wish I did. But it’s only a hardcopy and framed at my house. Hey Hollicks, this is a fantastic q and a. We really have a great time with your blog and we hope you put up a lot more of these sorts of articles about the actors! It’s so cool! How about some of the musicians too? Nothing against the actors, we love learning about them too! Looking forward to lots more from the Hollicks! Hi LKF! As always, it’s great hearing from you. We plan on putting up more interviews with actors as well as the behind-the-scenes personnel. Thanks for your commenting, as always! THIS IS SOOOOOO FUNNY!!!!! I LOVE READING ALL THE ACTORS BACKSTORIES. WHAT IF HE WAS MUFASA UP IN SPACE LOL!!!!!! That would be something Angelique! If he was Mufasa in outer space, then Disney probably bought out NASA! Hahaha! Amazing insight into Mufasa! We saw the show in St. Louis and are obsessed with it now. Best of luck on your many of travels and we are now fans of your blog. Thanks so much Janet! You can read some of our St. Louis entries, like our visit to the Magic House and some fave dining spots – check out our archives link above. We are looking forward to hearing from you more! Pico I will pay you for video of that performance! Haha! I’m sure Dionne would like it for his collection too! 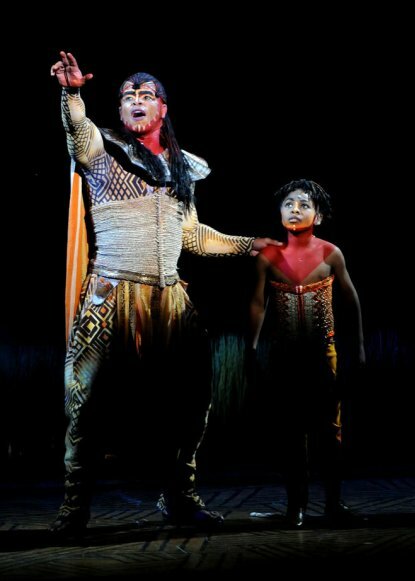 Dear Dionne, I saw the Lion King last week and loved you so much! Bravo!! You were amazing! I want to see the show 100 more times now!!! You now have a fan for life! Come back to Wichita anytime! The Lion King cast is full of characters Susan! They are all so funny in their own way. Thanks for commenting! Really fun read! this sort of stuff is so fascinating to us non-drama folks! We are so happy to share all these tidbits with everyone — thanks for your comment Simon! Santana, we are happy to be part of such an extraordinary show. Thank you so much for commenting!